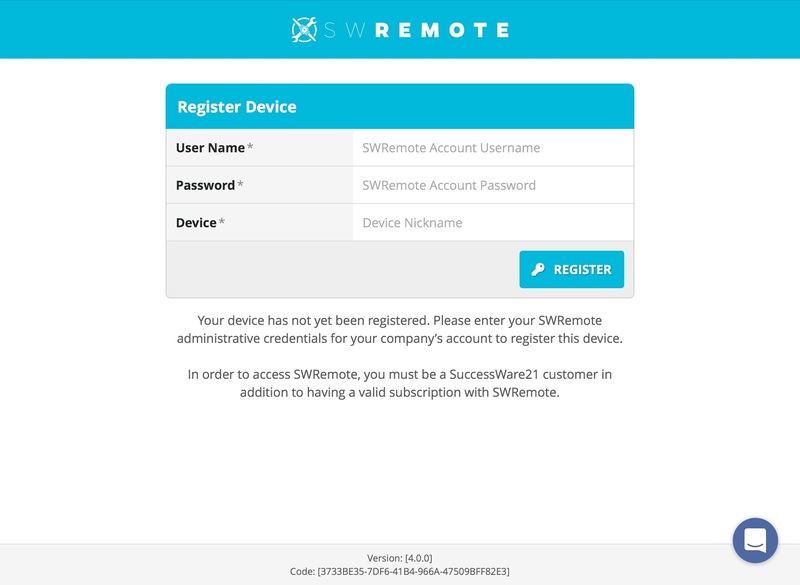 To use SWRemote, your device must first be registered to your company. In order to complete the registration, you must have the credentials originally given to the Operations Manager, which log you into the SWRemote admin site. Device Name: This is the "nickname" of the device that appears on the list of your devices on the SWRemote admin site. It is simply used as a reference so you can distinguish them in the Device list listed on the admin site.